About 6 weeks ago Dan MacDougald, the Godfather of CrossFit in Atlanta, my original CrossFit Coach and then owner of CrossFit Atlanta faced an unexpected forced relocation because of a massive renovation project planned for their space. Not satisfied with the alternative spaces, his landlord offered, Dan decided it was time to hang up his lifting shoes and close CrossFit Atlanta’s doors for good. Loyal CrossFit Atlanta member, avid CrossFitter, and successful businessman Jason Hanges, stepped up to take the torch from Dan. With Head Coach Damon Mosley on board and leading the membership, Jason set out to find a new home for CrossFit Atlanta and turn the struggling business around. As of today, May 1st, CrossFit North Atlanta and CrossFit Atlanta have become ONE. We have partnered up to combine our staff, coaches, memberships, and resources into our facility on Taylor Street to become the absolute, uncontested Premier CrossFit Affiliate powerhouse in the city with over 20 years of CrossFit experience under one roof. 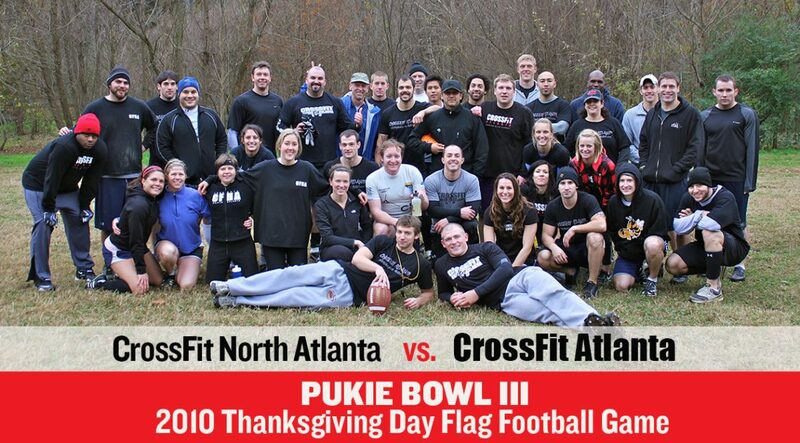 We will drop the “North” from our name and together become the NEW CROSSFIT ATLANTA. Fasten your seatbelts and put on some safety goggles folks, we are about to BLOW THIS UP and you have front row seats. Mic drop… boom! The true beneficiaries of this partnership will be YOU, the members. All the resources that would have gone into the former CF ATL relocation and rebuilding process will now go towards taking this facility and training experience to the next level. And best of all, a fantastic collection of loyal new members passionate about CrossFit looking forward to making this their new home most hip hoppin box in the ATL! We’d love for as many of you to make it as possible to welcome the new faces and ask any questions you have. Classes will be held at 5:15p and 6:15p and will be open to all members. We’ll have beer and DAS BBQ available. Come make some new friends! Our new class schedule will begin (see below) and all classes will be moved to Taylor St. Effective May 14th and schedule subject to change. It will definitely take a few weeks to work all the kinks out. Class reservations will continue to open 7 days prior so you have ample time to reserve the class times you want. We couldn’t be more thrilled about this opportunity and what it means to our entire CFNA family and, of course, our NEW CrossFit Atlanta 2.0 Family. We are looking forward to making this a second to none experience on every level. Stay tuned. There is more to come! If you have any questions, concerns, feedback, etc., PLEASE bring them to us and not a public forum so that we can get you the most accurate information. We’ll be sure to keep you in the loop on all things coming your way.